Is that the concept drawing to the Animas aureus modela? Dude it looks awsome. Only thing I suggest changing on the actual model is the jaw would not be as wide and maybe make the lifted foot touch the ground. And that jaw width is somewhat based on Scott harmans illustration, but we can tone it down. 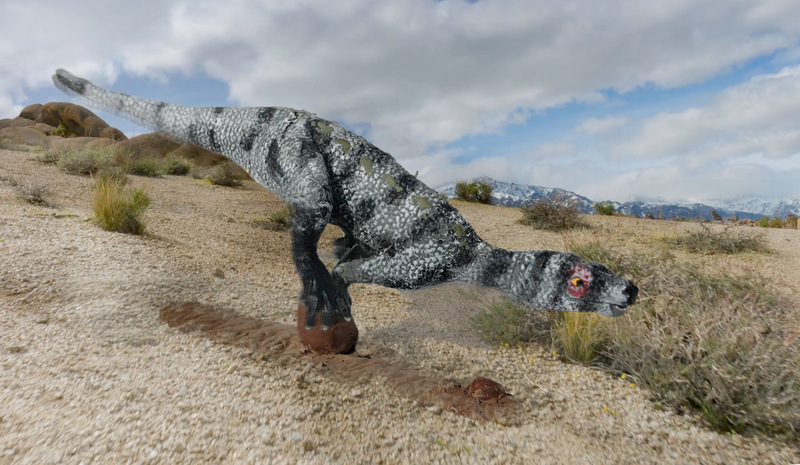 Is that a Torvosaurus gurneyi?It looks really good,though I would oersonally leave the mouth closed if you want a running pose.Also,what about adding some feathers?Torvosaurus was a megalosaur,from the same family as Sciurumimus,which was feathered. I'm going by the consensus that sciurumimus was a colurosaur. So I had the torvo made in scales. Something like this one perhaps? That comic just made my day! Did you know if you drink the juice in a magic eight ball you can see the future!?! 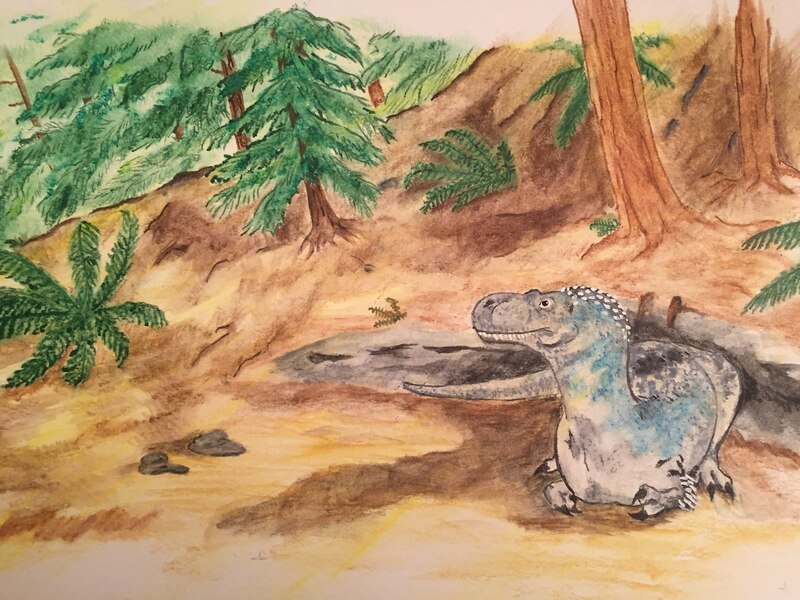 Kentucky, we have Cretaceous soil but no one has really gone looking for dinosaurs, so the whole dinosaurs/Cretaceous chapter is extrapolated from dinosaur finds in neighboring states, so the third chapter is a day for Appalachiosaurus. 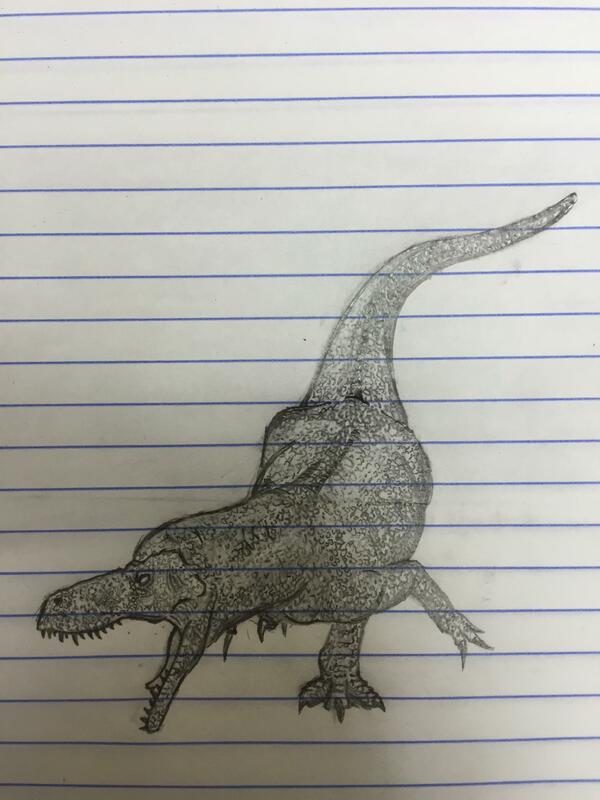 I've been very tempted to make an Appalachiasaurus for the Park here, but I just can't it all worked out in my head, there's the lack of fossil arms issue, if it has tiny two clawed hands it would be pretty similar to my juvenile Gorgosaurus. Yes as I recall they had originally pegged it with powerful 3 clawed arm but then suddenly did a 180, I supposed based on some cladistic analysis. 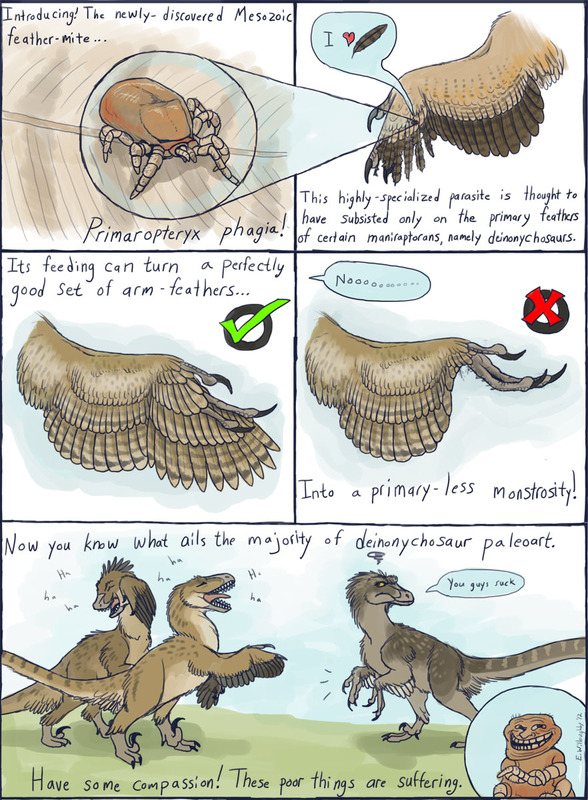 Which would be interesting as it would put appalachiosaurus and whatever predicated dryptisaurus in the same general area where they would have had run-ins. All predicated by the fact that when I was growing up no one could really tell me what animals lived close to home. As interesting as the dinosaurs in Texas or Montana it is very rewarding to be able to talk about your on home in the grand scale of time.